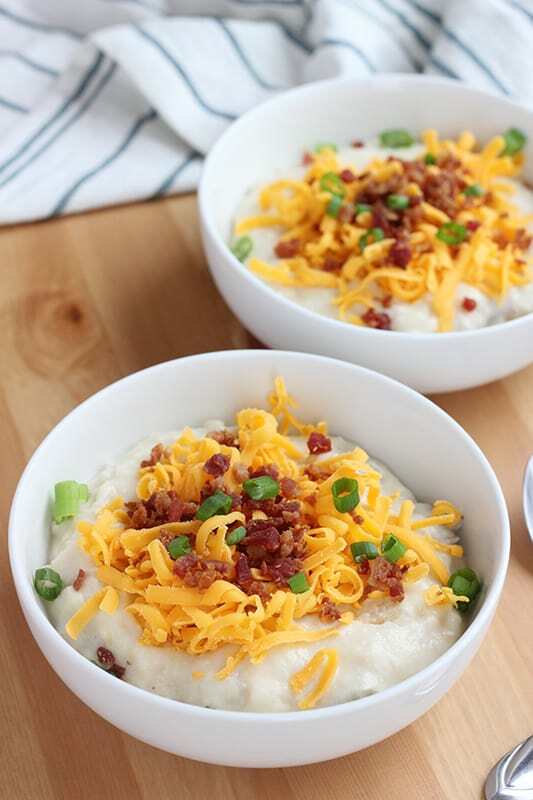 Slow Cooker Loaded Potato soup is the ultimate comfort food! Easy to make with just 10 minutes of prep and minimal ingredients. 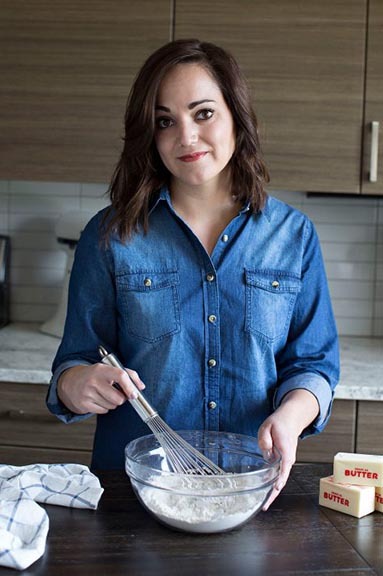 It is the perfect weeknight recipe! Easy weeknight dinners are my bread and butter. After working a long day the last thing I want to do is spend an hour or two slaving away in the kitchen. Which means any recipe that takes less than 20 minutes to prep, and cooks all day in the slow cooker, is a winner in my book. This soup is the ultimate comfort food. 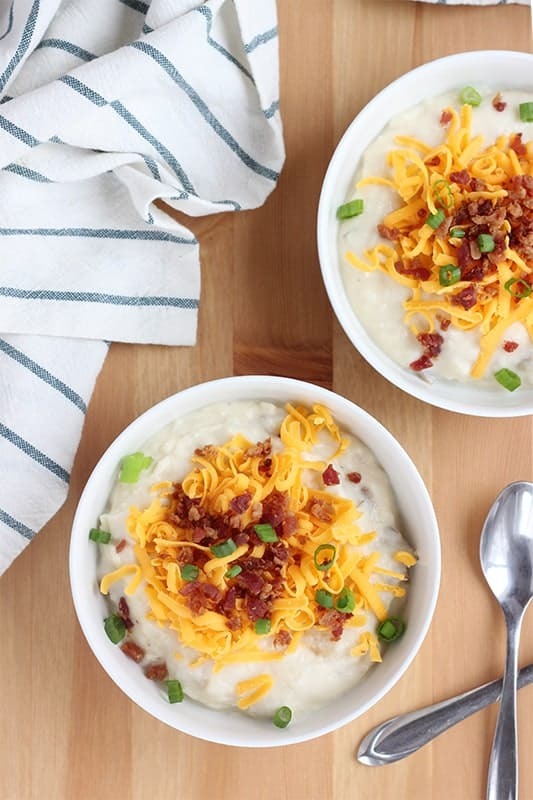 It takes a classic baked potato and turns it into the most delicious soup recipe topped with shredded cheese, bacon, and green onion. Do I need to peel my potatoes for soup? No. Peeling the potatoes is not necessary for this recipe. However, if you would like to take the extra step you certainly are welcome. I give the potatoes a good scrub and chop them with the peel intact. It saves on prep time and tastes great in the soup. 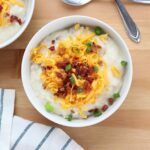 What toppings are best for loaded potato soup? Can I make a slow cooker soup recipe on the stove? Add your potatoes, onion, garlic, broth, and salt and pepper in a large pot on the stove. Bring to a boil. Lower to a simmer and cook 30 minutes, or until the potatoes are soft. Slightly mash the potatoes in the pot. Stir in the half and half, cream cheese, and butter. Heat until your soup is warm and the cream cheese has melted. Serve with shredded cheese, bacon, and green onion. Add the cubed potatoes, onion, chicken broth, garlic, slat and pepper to a 6 quart slow cooker. Set for low and cook 8 hours. 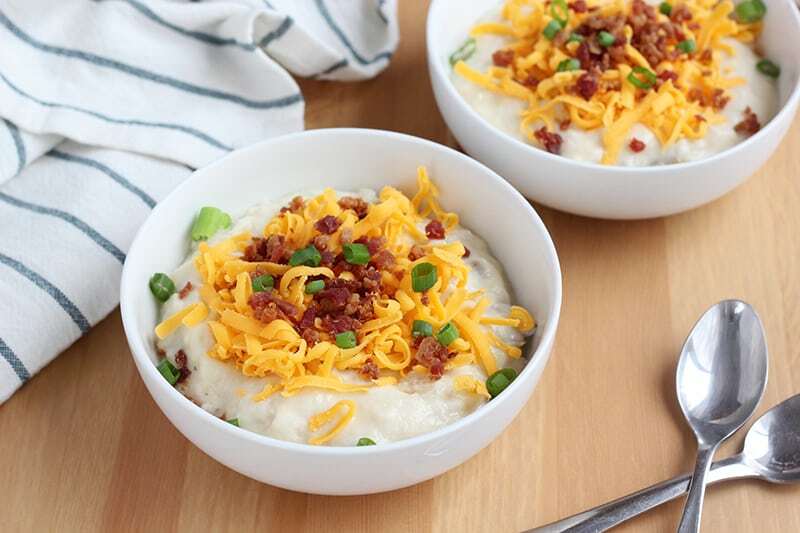 Mash the potatoes in the slow cooker. Stir in the cream cheese, half and half, and butter. Heat on high until ingredients are well blended. 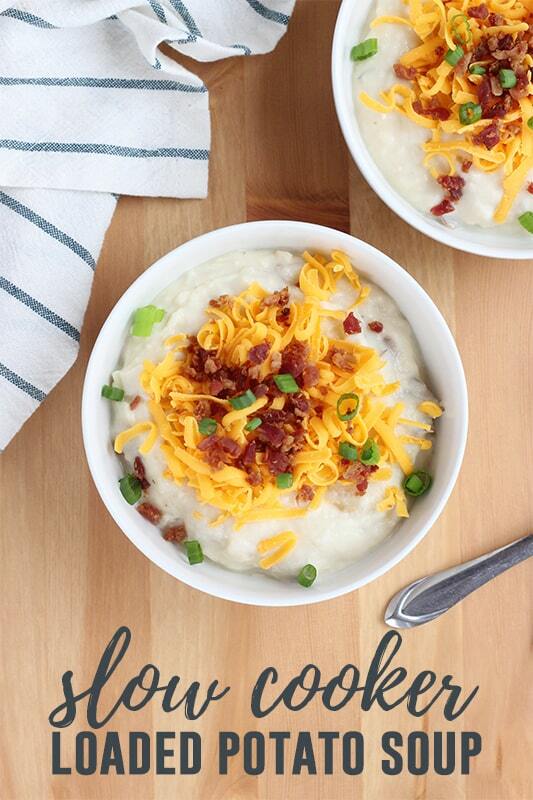 Serve with a generous portion of cooked bacon, shredded cheese, and green onion. We do not peel our potatoes but my instagram followers voted that they prefer their potatoes peeled before adding to soup. Feel free to add either peeled or un peeled potatoes to this recipe. Yummy! We have had some extra cold nights and my husband requested soup. Gave this a try and everyone loved it! We doubled the bacon and mixed it in before serving.